Speaker of the House Nancy Pelosi and House Majority Leader Steny Hoyer could not explain why a $15 minimum wage for all was best for workers after a conference Wednesday on Capitol Hill. At a “Raise The Wage” event in the U.S. Capitol, Pelosi and Hoyer were joined by workers from across the country who believe a $15 minimum wage would help them and their families get out of poverty. Independent Vermont Sen. Bernie Sanders, Democratic Washington Sen. Patty Murray and a few other members of Congress were at the event. The legislation itself would raise the minimum wage to $15 by 2024. 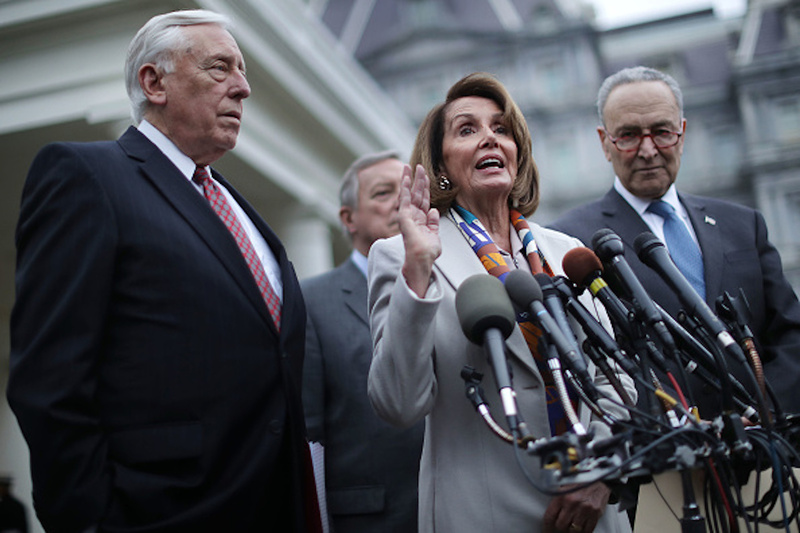 However, both Pelosi and Hoyer seemed interested in raising the amount, but would not say why. “I’m interested in the deal there and the getting there, and I think this is a bill that we can pass and get the votes — and that’s important,” said Hoyer in response to TheDCNF’s question. But he walked away without responding when it came time to answer if $20 or another amount would work. The Washington, D.C., City Council voted to repeal an initiative that would have raised the minimum wage for all tipped employees in an 8-5 vote Oct. 2 after continued pushback from workers across the nation’s capital.